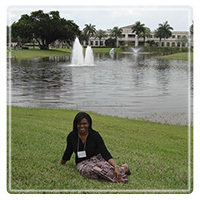 Fort Lauderdale Therapist: Jacqueline Clarke Jemmott - Therapist 33324. Send A Message To Dr. Clarke Jemmott. Session Fees: $150 for initial session and $120.00 for subsequent sessions. Are you in a gridlock with your partner? Do you worry about managing your emotions? Are you affected by a loved one alcohol and drug use? Often long to bond with your child or have your child improving school performance? therapy to have you resolve these issues and many more life issues. comprise of having wellness in emotions, spirits, and ultimate well-being. My aspiration is to engage individuals, couples, and families to have relationship wellness, emotionally, spiritually, relationally, and intellectually. I use a strength-based and integrative therapeutic approach with individuals, couples, and families. In my work with children, adolescents, and adults, I am committed and passionate about helping people foster solutions in renewing wellness in their mental and emotional lives; school and work performances; spirituality; and relationships. Couples with different religious practices in their marriages. Using clients’ language in therapy. To provide a supportive and collaborative therapeutic environment working with you to identify solutions that will foster renewal of hopes, dreams, values, and quality in your relationships, leading to ultimate life changing experiences and enhanced growth. Take your first step make your appointment today!